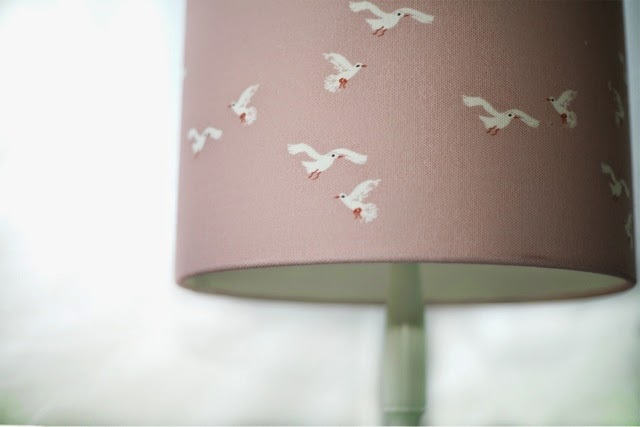 Rascal & Roses: Could lampshades be the answer? Could lampshades be the answer? I mean, that really depends on the question and I'm not going to lie-they are not the answer for a lot of problems. However, when it comes to making your house looking fabulous then handmade lampshades could be the answer! If you've ever tried to find lampshades, you'll realise it's not actually that easy. Beautiful ones are hard to find, unless you want to spend an absolute fortune and matching them to a new interior is much easier said than done. So, last week I decided that I would make some! Turns out, they look pretty good, but I mainly put that down to the very special fabric from Emily Bond. This one is called guls and honestly, the photo doesn't do it justice, it's just plain lovely. I can't wait to whip up some matching cushions. What does everyone think? A winner? Do let me know!